Starting a family is perhaps one of the most anticipated experiences of our lives, and it presents moms with a whole host of new challenges and experiences. While most of these changes are welcome, the actual pregnancy, breast feeding, and sudden lack of personal time can affect a young mother’s body in ways that cannot be corrected simply with diet or exercise. And no matter how hard moms try to undo the physical changes that occur during the childbearing years, they often cannot get back their pre-pregnancy size and shape. A "Mommy Makeover" can help. These procedures are among the fastest-growing cosmetic surgery procedures in both Seattle and the Eastside for women in their 20s, 30s, and 40s. Here are some tips on getting your Mommy Makeover to reclaim your pre-pregnancy physique. How should I choose a plastic surgeon? Choosing a plastic surgeon can be difficult, which is why it is important to ask the right questions before undergoing any procedure. The first question you should ask is whether your doctor has proper credentials. Surgeons are not required by law to be specifically trained for the procedures they offer. Ask your doctor if they are certified by the American Board of Plastic Surgery to ensure that they have the proper training and certification. In addition, make sure to ask about your doctor’s experience. Just because the doctor is a certified professional, that does not mean they can deliver the results you want. Make sure that the surgeon you choose has already performed the procedures and has years of experience. Dr. Salemy is a board-certified surgeon in the Seattle, Washington area who you can trust with your Mommy Makeover. He has years of experience performing tummy tucks, breast augmentations, breast lifts, liposuction, and other procedures. What happens during a Mommy Makeover? However, not everybody wants the same procedures done during their Mommy Makeover. Be sure you and the doctor agree on what is the most beautiful look for your body. Get on the same page with your doctor and discuss what it is you want from the Mommy Makeover procedure. To make sure you get what you want, take a look at pictures of that doctor’s previous work and compare their work with your body type. Ask your doctor to reiterate their plan and describe each step of the procedures that you want. In addition, make sure you are being honest with the doctor to ensure that you are fully communicating what you want and what you expect from the procedures. What does the recovery from a Mommy Makeover look like? Recovery depends in part on the type of procedure or procedures performed as well as individual ability to heal and bounce back from surgery. In general, Dr. Salemy recommends 10 to 14 days off from work, so that recovery can happen in the comfort of your home. Most procedures are outpatient procedures (you will not need to stay in the hospital) and take 2 to 4 hours. 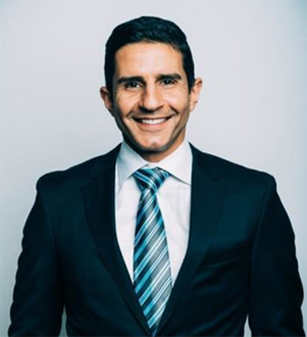 Dr. Salemy sees patients at regular intervals after the procedure to monitor progress, and most patients report feeling quite comfortable between 2 to 3 weeks after their procedure. If you have questions about getting a Mommy Makeover in Seattle, want to learn more about Seattle breast augmentation, or something more, ask Dr. Salemy himself, or schedule a consultation. You can also refer to our FAQ about undergoing plastic surgery. 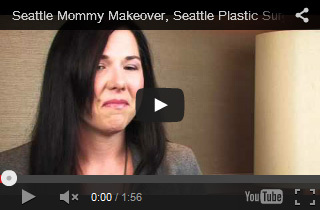 Please contact us today to schedule a Mommy Makeover Consultation in our Seattle office!